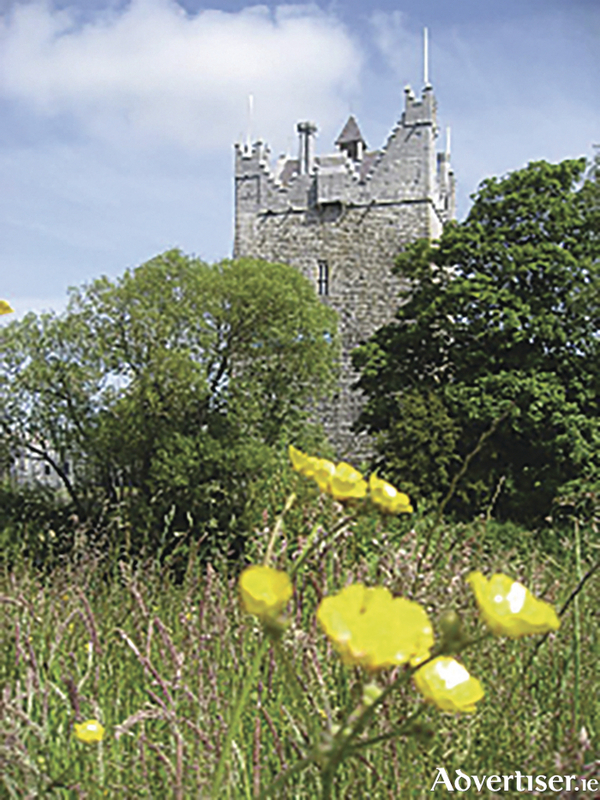 Claregalway Castle will host Ireland’s Specialist Nurseries (ISNA ) and rare plant specialists at the Spring Garden Fair on Sunday April 3 from 11am to 6pm. A variety of informal practical talks and demonstrations on transforming your garden will be given by these gold medal winning nurseries from both Bloom and Hampton Court flower shows. Go along and get all your gardening questions answered and enjoy coffee and cakes in coffee shop. Exhibitors will include the following specialist nurseries. Leamore Nursery will have a range of herbaceous plants, featuring a large selection of Peonia. Future Forests will bring a good selection of native and unusual trees, conifers, shrubs, climbers, and fruit trees; some bare-rooted, others in pots. All its plants are online at www.futureforests.ie and pre-orders are welcome. Boyne Garden Centre offers a great selection of perennials and Paeonia roses and an impressive collection of top quality plants grown in its nursery. This award winning garden centre has seven successive gold medals including three medals for Best in Show at Bloom and Garden Show Ireland. Caherhurley Nursery offers plants that are 100 per cent home-grown, 100 per cent Irish. Certified organic, the plants are grown outdoors on a windy mountain slope. Rare Plants Ireland sells a large variety of rare and very unusual trees, shrubs, perennials and alpines. Many of these are not available even in good garden centres. Some are from collections in Taiwan, Japan, and other parts of the Far East. Sarah Largue offers garden and conservatory artefacts, both contemporary and vintage. The majority of stock consists of vintage items for garden and conservatory, bird baths, rose arches, garden benches, and small pieces of furniture. This year she has a large selection of large used terracotta pots. Deep Route Gardening of Mungret Street, Limerick, and George’s Quay, Cork, specialises in organic medical and culinary herbs. Indoor gardening equipment and hydroponics are also available. The Cutting Globe is an innovative Irish product, fun and easy to use, which gives great results to the gardener. It is developed by Liam O’Meara with more than 20 years in retail and horticulture experience. Harrington Exotics supplies a comprehensive range of cacti and other succulent plants. As well as the common and easy to grow varities it also has rare and unusual plants that are not usually available elsewhere. The company also supplies other exotics as they become available and has a good range of carnivorous plants in stock. Also in attendance will be Irish Water Plants, Logtools, Mulhall Obelisks, and more. Jane Stark, award-winning botanical artist-in-residence at Claregalway Castle and curator of the annual Claregalway Castle Botanical Art Expo, will be doing botanical painting demonstrations throughout the day, showing the techniques she uses to produce her highly detailed, botanically accurate, watercolours. She also teaches beginner and intermediate level botanical art classes and workshops and was recently elected as chairperson of the Irish Society of Botanical Artists. Admission is free. Do not miss this special opportunity to meet the experts as the gardening season gets under way. The annual Galway Garden Festival takes place on Saturday July 2 and Sunday July 3 – enquiries to [email protected].